Gypsy Scholar: Milton: Books are not absolutely dead things . 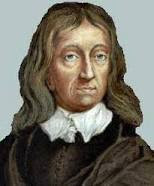 . .
Milton: Books are not absolutely dead things . . .
For gaze on Lucifer, who ever strayeth. There it is, a sonnet in process, which might or might not be finished. I generally keep tinkering on my poems forever . . .
"Also is letter not lit'rally dead"